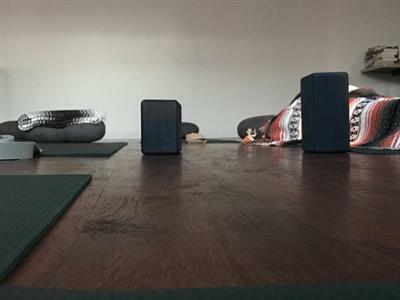 This is a slower paced and intense practice of holding postures, internal reflection, and individualized needs based in the foundations of Kripalu Style Yoga. A few descriptions of that style are below. "Kripalu Yoga is an interplay of body, mind and energy. Within the physical body is a subtle flow of rhythmic, energy pulsations that we call prana, or life force. Even the most insignificant thought can disturb or block this flow of energy, creating imbalance or even disease." "Kripalu is gentle yoga that emphasizes moving at your own pace, self- acceptance, and adaptability. It's ideal for people facing life's challenges." "Kripalu Yoga is a challenging approach to asana practice that emphasizes meditation, breathwork and encourages inward focus and spiritual attunement. [It's] Basic Principle: Practicing Kripalu Yoga can initiate a gradual process of physical healing, psychological growth, and spiritual awakening."